I’ve lived in London for just over two years now, but have already visited London Zoo three times. The zoo, founded in 1826 is in the middle of London, but in one of its rare open spaces: Regent’s Park. It’s not a very large zoo, but the zoological society of London has a second – much larger – zoo outside the city, which is where the elephants are. At the moment, the lions are also temporarily out of the city, while they’re getting an awesome new enclosure. When I was in high school, I did a mini literature research project about zoos, and learned that they have four key functions: entertainment, research, conservation and education. 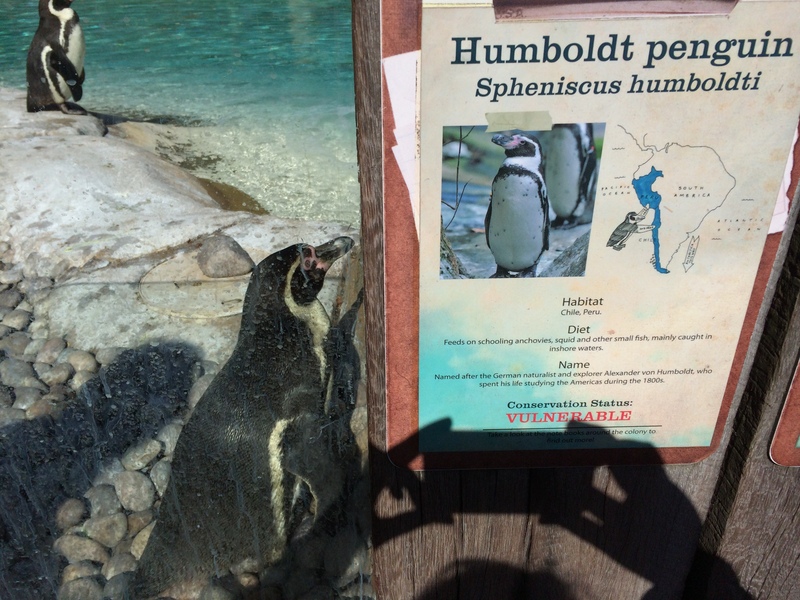 Since then, whenever I visit a zoo, I look for those four roles. 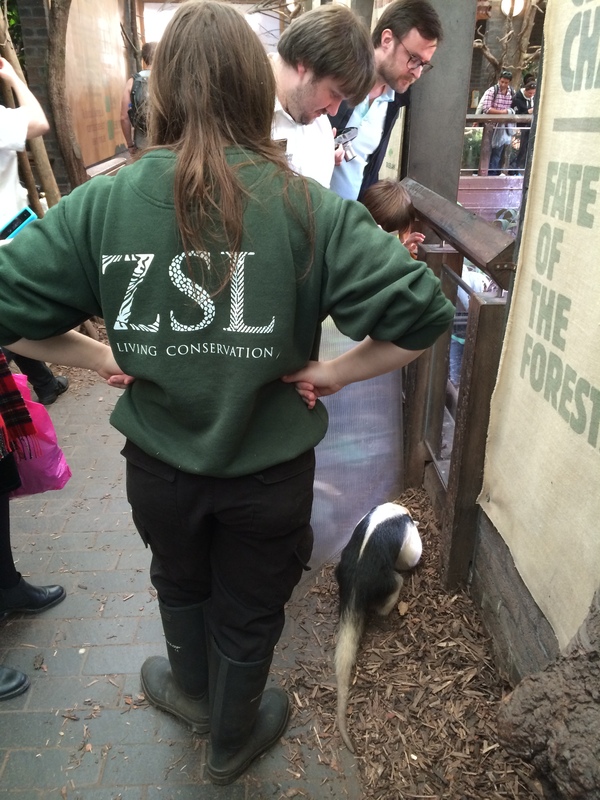 London Zoo, perhaps unfortunately, relies very heavily on entertainment. Its Zoo Lates programme, allowing visitors to party in the zoo after hours, has been criticised for being stressful to animals. But on the other hand, the zoo’s popularity also saved it from closing in the 1990s. 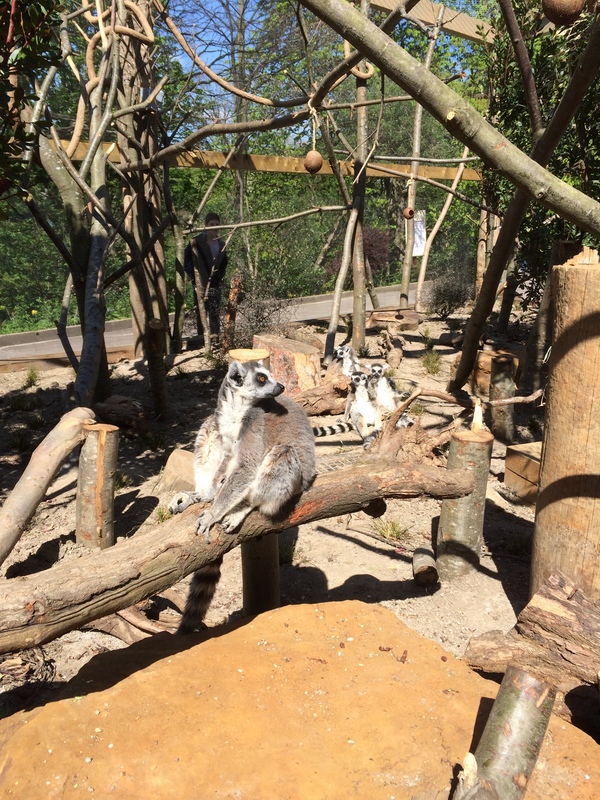 As a whole, though, the Zoological Society of London, which runs both London Zoo and Whipsnade Zoo, does do a lot of work on animal research and conservation, so the superficial entertainment value of London Zoo is a bit misleading. In the three times I’ve visited London Zoo in the past two years, I also noticed that it’s currently undergoing a lot of improvements that all create more space or better enclosures for animals. Yay! 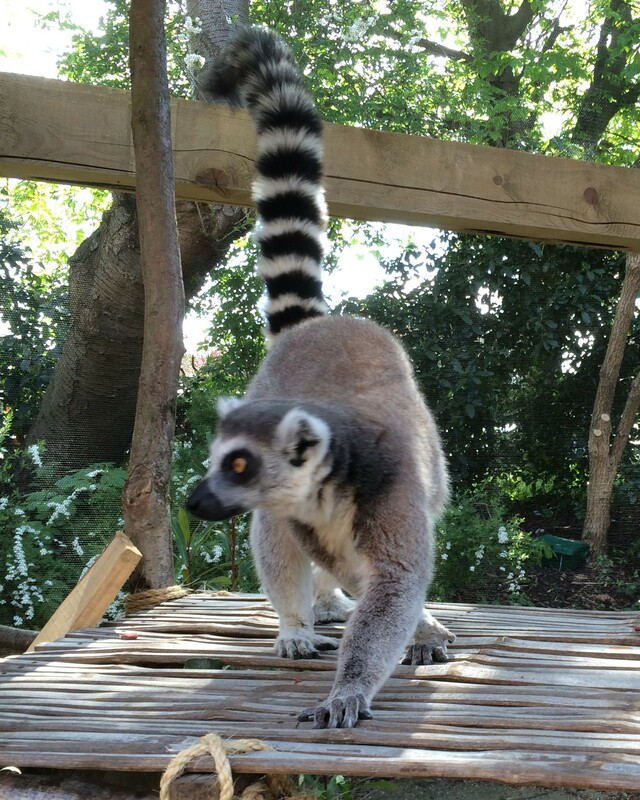 The most recent one is the new lemur exhibit. It’s not as great a space as the Apenheul or Duke Lemur Center lemurs have, but much better than the old lemur cage (which you can briefly see in the 2013 video at the bottom of this post). Lest we turn this into the Lemur & Pea blog, let’s move on to this anteater. This little guy was new to the tropical rainforest exhibit when I visited, and was just as curious as the visitors were. He has free reign of both the animal and people parts of the exhibits, but was still learning to deal with crowds and had two human babysitters (anteatersitters?) with him. 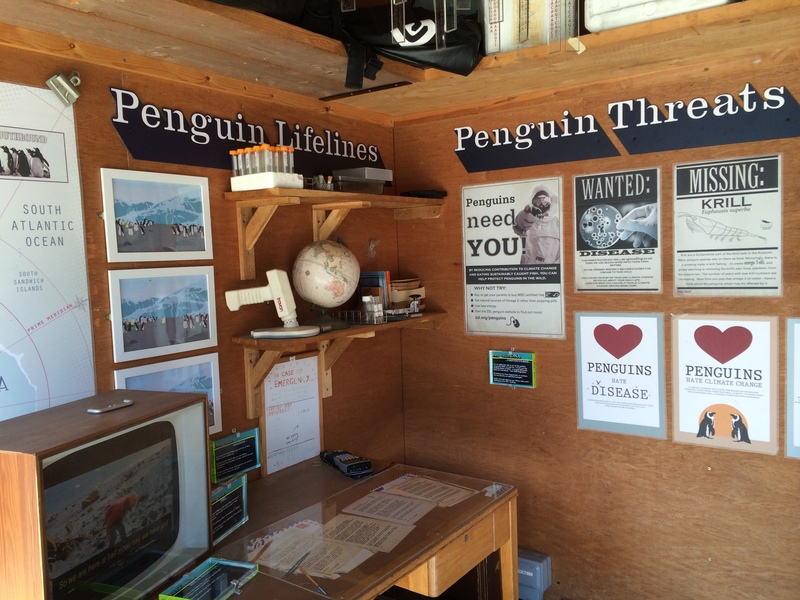 We also visited the penguins, and the exhibit about penguin research. This group of penguins was recently featured in The New Yorker, in an article by Ed Yong, discussing their wobbly walk. Just another example of the “research” function of zoos! London is old and full of dead people. Most of them are out of sight, decomposing under ground. Some are not. Some are on display for all to see — or at least parts of them are. The most famous visible dead person is the philosopher Jeremy Bentham, whose bones, padded with clothes, and topped with a wax replica of his head, sit in a display case at University College London. Even more dead body parts can be found at the Hunterian Museum of the Royal College of Surgeons, which is celebrating its 200th birthday this year. That’s two centuries of collecting, preserving, and displaying skulls, bones, limbs, hands, and various other organs. The museum started out as the collection of surgeon John Hunter. He’s one of the founders of modern day surgery, but his Wikipedia page also highlights one of his mistakes: he inoculated himself with gonorrhea in an experiment – no wait, that’s not yet the mistake! – but didn’t realize the sample was contaminated with syphilis as well. When he contracted both diseases, he assumed they were both the same, and set back our knowledge of venereal diseases a few years. Oops. As a surgeon, he also made and collected thousands of preparations of plant and animal species, to learn more about the natural world. A lot of his samples were of diseased or malformed human body parts, which allowed him and others to study these conditions. A controversial centrepiece of the collection is the skeleton of 18th century giant Charles Byrne. Afraid of being used for medical experiments, Byrne had requested to be buried at sea, but when he died, John Hunter bribed a member of the funeral party to steal Byrne’s body. Now his skeleton stands in the Hunterian. The Wellcome Collection bills itself as a “destination for the incurably curious”, and indeed, the last time I was there I spent a good few minutes opening the drawers of a large cabinet, one by one, to reveal strange old medical prints inside. Henry Wellcome founded Burroughs Wellcome & Company in the late 19th century. The company later merged into what is now Glaxo Smith-Kline. When he died, he left his share of the company to trustees, to spend on health projects. The Wellcome Trust is currently one of the main funders of biomedical research in the UK. Sorry for taking you to yet another museum (next week I’ll take you on a geology-themed hike) but I saw zombies at the Science Museum in London last week so we have to go there first. There aren’t always zombies in the museum. It was part of a special event. The start of “Zombie Lab” was a room with agricultural dioramas (part of the permanent display, one presumes) between which zombies were being checked by doctors. It felt like we just walked onto the set of a very low budget movie. Where was the science?